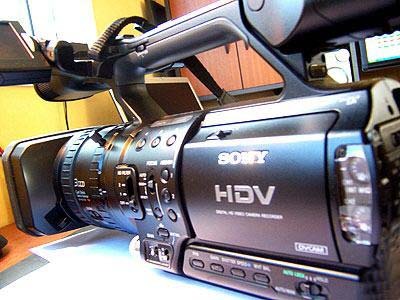 A Sony HVR-Z1U camera. This device is a digital video workhorse at the SCC, and relies heavily on digital video tape... something which could be rather hard to come by in the near future. My heart, thoughts, and a donation goes to those affected by the Earthquake, Tsunami, and now radiological crisis that Japan must grapple with. It’s not exaggeration to say this turn of events is truly unprecedented. Sitting thousands of miles away, and only observing the events through websites and television screens, I’m aware that I cannot possibly grasp the ordeal that survivors now face. With that preface, it’s difficult to even think at this point of how the disaster will inconvenience those of us far removed. However, there will be a rather significant impact for quite some time, given our technological dependencies in a digital world, the number of electronic components and supplies that are produced in Japan, and how we use those components to capture our current history and cultural heritage. Of particular note is a shutdown of the Sony Corporation Sendai Technology Center, currently the only facility in the world producing HDCAM-SR tapes.